Phoenix Periodontist Blog | Arizona Periodontal Group - Page 4 of 13 - This is the blog of Arizona Periodontal Group discussing periodontics and a healthy mouth! Periodontal disease often impacts individuals in their 30s and 40s. Many of these individuals are seeking ways to fix gum disease without invasive treatments. Laser gum treatment is an effective way to reverse gum disease and prevent it from causing additional problems. Lasers will vaporize and remove diseased tissue, allowing a patient to return to having a healthy, normal mouth. If you need laser gum treatment in Phoenix, trust Dr. Trujillo at Arizona Periodontal Group. LANAP or laser assisted new attachment procedure is one of the most common methods used to treat gum disease. Using laser to vaporize and remove diseased tissue from the mouth requires precision, which is why it is essential to work with a provider with the correct training and experience. The laser will initially strip away the diseased gum tissue before it creates cauterizes the area to begin the healing process. LANAP is popular due to its ability to treat a large variety of periodontal diseases. Gingivitis and periodontitis are the most common conditions treated with LANAP. Patients experiencing inflammation and bleeding of the gums find LANAP to be a non-invasive treatment to prevent additional bone deterioration. Research has found when lasers are used for gum disease treatment, patients will experience less pain, swelling, inflammation, and discomfort during and after surgery. The lasers have multiple wavelengths and power levels, allowing providers to adjust them as needed to make the necessary improvement for gum disease ailments. When a patient schedules a consultation, we begin by pre-testing the bacteria to determine the extent of infection. Following pre-testing, we can begin decontaminating the deep pockets with laser gum disease treatment. Patients may experience mild discomfort during the procedure. Once the procedure is complete, patients will need to follow at-home instructions to prevent additional infection. A post-treatment appointment is made to check on the results of the laser treatment, and to determine if additional treatments are needed. Eliminates the need to cut the gums and remove infected tissue, which can lead to longer healing times and soreness. If you want to learn more about laser gum disease treatments, or you would like to schedule a consultation, contact Arizona Periodontal Group today! How Much Money Could You Save Flossing Your Teeth? How often do you floss your teeth? Although most people assume that they are alone in their rebellion against that minty string, the fact of the matter is that only about 50% of Americans floss daily, and close to 20%, or one in five, report not flossing at all. Unfortunately, skipping the floss could cost you, which is why Phoenix periodontists recommend making it a part of your daily dental hygiene regimen. In the summer of 2016, an associated press report called into question the efficacy of flossing, sparking a conversation about how often you really need to floss to keep your teeth healthy. Although the Federal Government had recommended flossing as part of a healthy dental regimen since 1979, the report stated that flossing had no real medical benefits. However, dentists across the world argued that patients who flossed regularly had fewer dental problems and healthier gums. In fact, as a response to the outrage, the American Dental Association (ADA) released the following statement. To understand why flossing is so effective, it is important to understand how gum disease forms in the first place. Like the ADA mentioned, plaque and tartar tend to accumulate along the gum line. This accumulation acts as a food source for bacteria, which emit enamel-eroding acids and toxins as they multiply. Eventually, these toxins spark an inflammatory response in the gum tissue, and can even attack the periodontal ligament, causing loose or missing teeth. Toxins can even seep into the bloodstream, aggravating a myriad of health conditions. By flossing, you remove this gum line buildup, fighting gum disease directly. In addition to causing inflamed gums, tooth loss, and even bone loss, failure to floss can also cost you a tremendous amount of money as a patient. Here is a little more information about what it might cost you if you decide not to make flossing a priority. On the other hand, a single pack of dental floss costs under $5, and is available at most grocery, drug, and convenience stores across the country. Make flossing a priority today to save yourself time and money. To keep your teeth clean and healthy, schedule an appointment with the Arizona Periodontal Group. Tooth decay, congenital dental problems, or even facial trauma can leave people with damaged teeth and disfigured smiles, putting patients in a precarious situation. 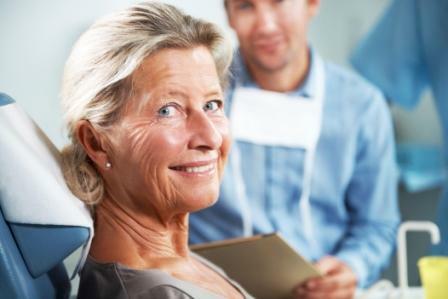 Oftentimes, patients wonder if they should opt for traditional dentures or partial bridges, or if they should invest in dental implants, a procedure that can take months to complete. Fortunately, modern dental technology has offered a solution: teeth in a day, which we offer to patients all over Phoenix. As a certified periodontist, Dr. Trujillo has years of experience caring for patients with the most extreme dental issues. In addition to restoring their smiles by removing decay and stopping gum disease in its tracks, Dr. Trujillo has also placed thousands of dental implants over the years and helped his patients to achieve the smile of their dreams. However, unlike traditional dental implants, which are typically placed in the space where a tooth has been missing, teeth in a day is a procedure that involves removing damaged, discolored, or crooked teeth and then placing the implant into the socket immediately. After a careful medical exam that includes 3D images of your teeth, gums, and underlying bone tissue, Dr. Trujillo will talk with you about your candidacy for the teeth in a day procedure. If you are a candidate, the procedure will be scheduled. To create your new smile, Dr. Trujillo will use the renderings of your teeth and molds taken of your mouth to send to the dental lab where your teeth will be fabricated. When your final crowns and implants are ready, you will be able to come in for the procedure. During the surgery, your entire mouth will be completely numbed using a powerful local anesthetic. Dr. Trujillo is also certified to offer other forms of sedation during your procedure to keep you comfortable. The teeth in a day procedure has multiple benefits, but the biggest reason most patients opt for the procedure is to avoid the months of waiting that are typically required during normal dental implant placement. Although the procedure still takes two visits to plan and then to place the implants, patients won’t be faced with living for weeks with posts and healing caps. The dental implants used in the teeth in a day procedure are also incredibly realistic, mimicking the natural color and opacity of your existing teeth. Dental implants also prevent further bone loss, help to restore chewing function, and are easier to care for than dentures. If you are interested in the Teeth in a Day procedure and want to learn more please contact us to schedule an appointment with Dr. Trujillo. We can’t wait to talk to you and help you gain a brighter healthy smile! Are Rheumatoid Arthritis and Gum Disease Related? Have you been dealing with rheumatoid arthritis or gum disease? Recent studies show a direct correlation between rheumatoid arthritis and gum disease. Proper oral hygiene will aid in preventing gum disease and has an impact on other areas of your body. Rheumatoid arthritis causes chronic inflammation, destroys joints, and leads to other autoimmune diseases. Gum disease and rheumatoid arthritis are closely linked as they are both characterized by chronic inflammation in soft-tissues adjacent to the bones. Both conditions lead to pain, swelling, and tenderness, which starts leading to bone loss without proper treatment. University of Louisville School of Dentistry in Kentucky released a study involving the two conditions and identified bacterium that causes gum disease is also present in the early stages of rheumatoid arthritis. The connection identifying the two conditions shows that individuals with rheumatoid arthritis could have oral health conditions that progress rapidly. When an individual has gum disease, the bacteria causes a reaction between some proteins in the body. When this attack occurs, the body will respond in a standard immune attack way, which means it starts fighting the reaction with inflammation. Prolonged inflammation can destroy cartilage. The destruction of cartilage leads to bone loss, which can cause the teeth to become loose. Loose teeth are vulnerable to decay, and can even fall out with minimal pressure during chewing. Rheumatoid arthritis normally starts with gradual stiffness and aches before it becomes widespread pain throughout the body. Joint pain begins in the jaw and swelling of the teeth and gums. There is no cure for rheumatoid arthritis, but the right dental treatments can aid in helping to reduce pain and inflammation of the gums. It is important to understand that both conditions require long-term treatments to maintain a healthy body. Research shows improvement in common rheumatoid arthritis symptoms following successful periodontal treatment. To reduce the risk of gum disease it is important to focus on regular brushing and flossing. Visit a Phoenix periodontist for proper treatment. Healthy eating habits can aid in reducing the likelihood of other oral health issues that can lead to advanced oral health issues. Arizona Periodontal Group provides effective treatments for patients dealing with gum disease and other serious oral health concerns. Contact our Arizona dental office to schedule an appointment to discuss your condition and find the best treatment method for your condition. We focus on treating people, not just cavities and gum disease! Did you know over 48,000 people in the United States are diagnosed with oral cancer yearly? Oral cancer is an aggressive form of cancer. Proper diagnosis early on allows a patient plenty of treatment methods to correctly treat oral cancer. April is oral health awareness month and it’s the perfect time to visit Arizona Periodontal Group for your oral cancer screening. Early detection of oral cancer can be life-saving. Here are some important things you need to know about oral cancer. When dental patients undergo early screenings for oral cancer, survival rates increase from 80 to 90 percent. The American Dental Association recommends dental patients receive two routine dental examinations yearly to aid in the prevention of oral cancer. Routine dental cleanings and examinations are the first line of defense in identifying warning signs of oral cancer. Oral cancer is typically diagnosed during a dental examination. A visual inspection of the mouth, head, and neck are performed by the dentist. The dentist will feel for lumps and can use technology to search for suspicious cells. Once diagnosed with oral cancer, patients will need proper treatment for their condition. Some patients will need surgery while others will need radiation or a combination of both. Early diagnosis and treatment is essential to increase survival rates. Visiting your dentist twice a year for cleanings and examinations can go a long way in the prevention of oral cancer. Dental patients can help to prevent oral cancer by doing periodic self-examinations of the neck, face, cheeks, and jaw to look for problems. If your health history shows a risk of cancer, it is important to contact your dentist immediately to schedule an examination. To learn more about oral cancer and to schedule your examination with Dr Trujillo, call our office today.